British models are certainly having a moment at the newsstand. Edie Campbell is racking up an insane amount of Vogue covers and now Jourdan Dunn covers the April edition of U.K. ELLE. Jourdan was shot by photographer Bjarne Jonasson for the rather momentous occasion, considering the usual lack of diversity on fashion magazine covers. The current face of Liu Jo was styled by ELLE‘s Anne-Marie Curtis, who put the model in a Miu Miu outfit teamed with a wool hat from Vivienne Westwood. The styling left a lot to be desired, however. “I love Jourdan and I’m happy to see her land another big cover, however I’m not too fond of it. She is a stunning woman, but I hate how they’ve styled her, ELLE used to be much better than this!” complained LastNight at once. “Crikey!! Quite possibly the worst I’ve seen from them. The styling, what was the theme here? In a weird way, it reminds me of Edie Campbell’s debut cover for British Vogue, but that one was masterfully executed. 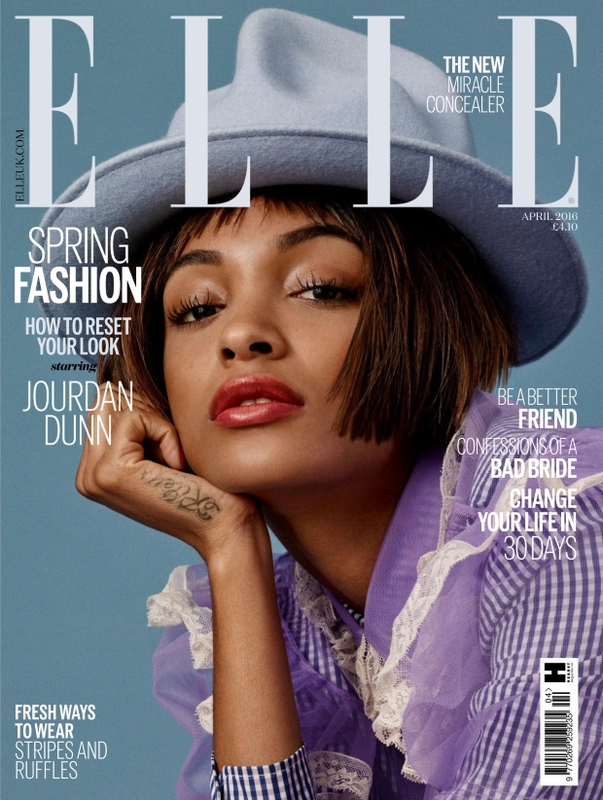 Odd to think this is Jourdan’s first ELLE cover…” pointed out an equally underwhelmed Benn98. “Regardless of how y’all view the styling and direction, I hope those who buy ELLE U.K. buy this cover to support the diversity movement,” announced a heartfelt SpeakThatJDunn. “Love it so happy to see her on the cover, definitely getting this,” declared TeeVanity. We’ve certainly established the styling could’ve been a whole lot better. Do you agree? See more and join the debate here.